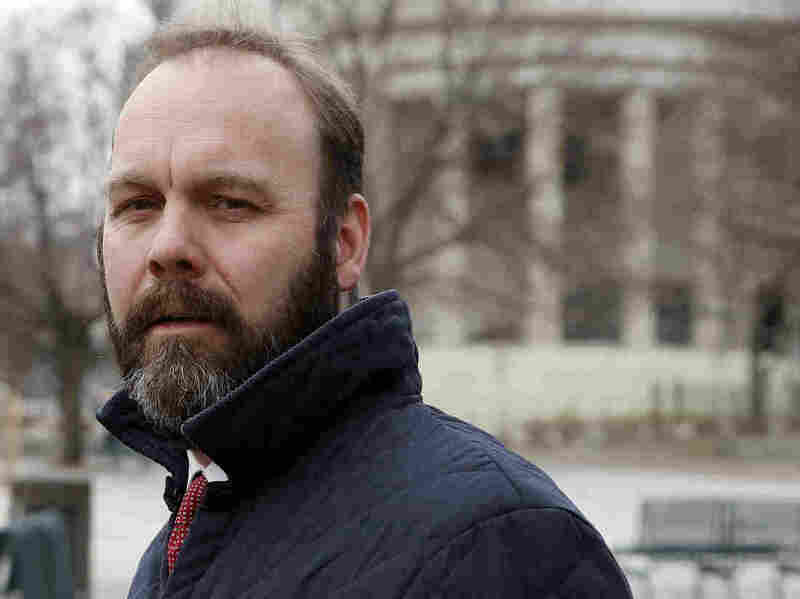 Rick Gates Pleads Guilty And Begins Cooperating With Mueller's Russia Investigation The business partner of former Trump campaign chairman Paul Manafort has reached a deal with the special counsel's office. Manafort, however, continues to maintain his innocence. Rick Gates, business partner of former Trump campaign chairman Paul Manafort, pleaded guilty on Friday to two charges and will begin cooperating with federal prosecutors. Rick Gates, the business partner of Donald Trump's former campaign chairman Paul Manafort, pleaded guilty on Friday to two charges and will begin cooperating with federal prosecutors investigating the Trump campaign and Russian interference in the 2016 presidential election. Gates appeared in federal court on Friday afternoon. He told Judge Amy Berman Jackson he was making the plea of his own free will. Under U.S. sentencing guidelines, Gates could get between four and six years in prison, but prosecutors said they would consider Gates' cooperation with their investigation and could later ask the court to be lenient. According to new court documents filed in the case, Gates has pleaded guilty to two charges. The first is conspiracy against the United States for "impeding, impairing, obstructing and defeating the lawful governmental functions of a government agency, namely" the Justice Department and the Treasury Department. The second is making false statements. According to court documents, Gates lied to the special counsel and the FBI on Feb. 1 about a meeting that took place in March 2013 and was attended by Manafort, a "senior lobbyist" who is unnamed and a member of Congress who is unnamed. Gates acknowledged lying about there being no discussions about Ukraine at the meeting. The member of Congress was California Republican Rep. Dana Rohrabacher and the lobbyist was former member of Congress Vin Weber, now a partner with the firm Mercury. A spokesman for Rohrabacher, Ken Grubbs, said Rohrabacher has long acknowledged the meeting took place. "The three reminisced and talked mostly about politics," Grubbs said. "The subject of Ukraine came up in passing. It is no secret that Manafort represented [then-Ukrainian President] Viktor Yanukovych's interests, but as chairman of the relevant European subcommittee, the congressman has listened to all points of view on Ukraine. We may only speculate that Manafort needed to report back to his client that Ukraine was discussed." Gates' guilty plea on Friday followed a new indictment from Thursday evening in which prosecutors led by special counsel Robert Mueller leveled even more charges against Manafort and Gates than they had been facing before. The two men were accused of laundering millions of dollars from overseas, hiding money from the IRS and other crimes. Manafort plans to continue fighting the charges. "Notwithstanding that Rick Gates pled today, I continue to maintain my innocence," he said in a written statement on Friday. Continued Manafort: "I had hoped and expected my business colleague would have had the strength to continue the battle to prove our innocence. For reasons yet to surface he chose to do otherwise. This does not alter my commitment to defend myself against the untrue piled up charges contained in the indictments against me." On Friday evening after Gates' plea in federal court, the special counsel's office unveiled another superseding indictment against Manafort. The new charges against the onetime Trump campaign chairman include conspiracy against the United States, conspiracy to launder money, violations of the Foreign Agents Registration Act and making false statements. Neither Manafort nor Gates has been charged with conspiring with Russia's attack on the 2016 election. Gates' change in plea, however, raises the prospect that Manafort's legal situation also could change again. Prosecutors could use testimony from Gates to make what would be essentially a case against Manafort for colluding with the 2016 Russian election interference effort, if there is one to be made. Gates' evidence may increase the likelihood of a conviction on the charges already leveled against Manafort. Gates also could have additional information about Manafort that could result in new charges against him. One possibility is that Manafort and his lawyers, cognizant of these perils, might change his plea and ask for their own deal with prosecutors. If that happened, the special counsel's office might ask Manafort to give evidence about other people in the Trump campaign orbit. As Washington Gears Up To Tackle Foreign Influence, How Effective Can It Be?